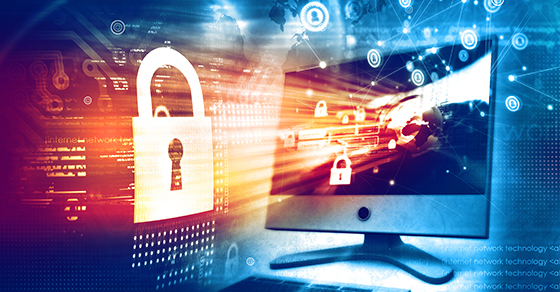 Investors, lenders and other stakeholders have been vocal in recent years about pushing companies to provide more information in their financial reports about cybersecurity. Could your company do a better job disclosing cyberrisks and recent hacks? Most public companies could do better, according to recent testimony during congressional hearings by Jay Clayton, Chairman of the Securities and Exchange Commission (SEC). Here are ways his agency is attempting to “refresh” the disclosure guidance. The SEC doesn’t expect to overhaul its Disclosure Guidance: Topic No. 2, Cybersecurity. Rather, it plans to consider whether important information about cybersecurity should be disclosed to stakeholders within the context of the existing rules. For example, companies may need to beef up their management’s discussion and analysis (MD&A) and footnote disclosures to reflect potential cyberrisks and material financial implications of data breaches. The current guidance on cybersecurity, which was published in 2011, doesn’t include a specific requirement for companies to disclose computer system intrusions. The SEC’s effort to update the guidance comes amid concerns that more public companies have been experiencing attacks to their computer systems, but their disclosures haven’t been timely or informative enough. Corporate strategies and policies regarding cybersecurity prevention, detection and breach response. Many companies welcome additional guidance from the SEC, because it can be difficult to determine the appropriate time to disclose a hack into their systems. On the one hand, companies feel a responsibility to share relevant information openly and honestly with stakeholders. On the other, they don’t want to prematurely disclose information about a breach before they know the extent of the damage or to release inaccurate information that later needs to be revised. Company insiders may also be working with law enforcement, in which case they don’t want to disclose information that could compromise the investigation. Regardless of whether your business is public or private, it’s important to assemble a team of professional advisors — including legal, insurance and financial experts — to identify risk factors and to handle breach response, measure the impact and mitigate potential losses. We can help you provide transparent and timely information to your stakeholders.